Tuesday, Mar. 27, 8:00 p.m. The Rangers will face-off against the Minnesota Wild at Xcel Energy Center (8:00 p.m.; TV: MSG Network; Radio: 1050 ESPN Radio), to begin a back-to-back road set. The Blueshirts currently sit atop the Eastern Conference standings, and rank second in the league overall, with a record of 47-21-7 (101 pts.). The Rangers enter the contest having defeated the Toronto Maple Leafs, 4-3, in the shootout on Saturday at Air Canada Centre, and have won three of the last four games. The Wild enter the contest with a 31-34-10 (72 pts.) record to rank 13th in the Western Conference, and have lost five of the last seven games. Following the contest, the Rangers will face-off against the Winnipeg Jets on Wednesday, Mar. 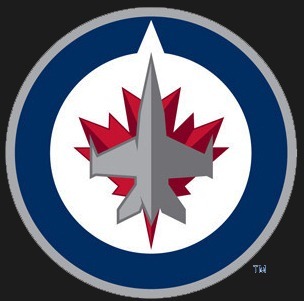 28, at MTS Centre (7:00 p.m.), to conclude their back-to-back set. The Rangers defeated the Toronto Maple Leafs, 4-3, in the shootout tonight at Air Canada Centre, and have now won three of their last four games. Ryan Callahan notched the game-deciding goal in the third round of the shootout, and Brad Richards also converted his shootout attempt. The Blueshirts are now 7-6-0 against Original Six opponents this season. The Rangers were defeated by the Buffalo Sabres, 4-1, tonight at Madison Square Garden, to finish their seven-game homestand with a 4-3-0 mark. New York has posted a record of 46-21-7 (99 pts.) overall, including a 26-10-2 mark at home. The Rangers have posted a combined record of 16-4-5 in back-to-back games, including an 8-2-3 (3-1-0 at home, 5-1-3 on the road) record in the first game of the set. The Blueshirts’ penalty kill was 1-1 (2:00) against the Sabres tonight, and have now held their opponent scoreless in nine of the last 12 games (30-33, 90.9%) and are 35-39 (89.7%) in the last 14 contests. Friday, Mar. 23, 7:00 p.m. 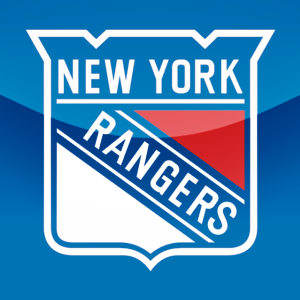 The Rangers will face-off against the Buffalo Sabres at Madison Square Garden (7:00 p.m.; TV: MSG 2; Radio: AM1600 WWRL), to close out their seven-game homestand. The Blueshirts currently sit atop the Eastern Conference standings, and rank second in the league overall, with a record of 46-20-7 (99 pts.). The Rangers enter the contest having defeated the Detroit Red Wings, 2-1, in overtime on Wednesday at Madison Square Garden, and are now 4-2-0 on their current seven-game homestand. The Sabres enter the contest with a 35-29-10 (80 pts.) record to rank ninth in the Eastern Conference, and have won four of their last six games. Following the contest, the Rangers will face-off against the Toronto Maple Leafs Saturday, Mar. 24, at Air Canada Centre (7:00 p.m.), in an Original Six matchup. The Rangers defeated the Detroit Red Wings, 2-1, in overtime tonight at Madison Square Garden to improve to 4-2-0 on their current seven-game homestand. New York has posted a record of 46-20-7 (99 pts.) overall, including a 26-9-2 mark at home. Wednesday, Mar. 21, 7:30 p.m. The Rangers will face-off against the Detroit Red Wings at Madison Square Garden (7:30 p.m.; TV: NBC Sports Network; Radio: Bloomberg Radio), in an Original Six match-up. The Blueshirts currently sit atop the Eastern Conference standings, and rank second in the league overall, with a record of 45-20-7 (97 pts.). The Rangers enter the contest having defeated the New Jersey Devils, 4-2, on Monday at Madison Square Garden, and are now 3-2-0 on their current seven-game homestand. The Red Wings enter the contest with a 44-25-4 (92 pts.) record to rank fifth in the Western Conference, and are winless in their last five games. Following the contest, the Rangers will face-off against the Buffalo Sabres on Friday, Mar. 23, at Madison Square Garden (7:00 p.m.), to conclude their seven-game homestand.